“The Marussia F1 Team and its race driver Timo Glock have, by mutual consent, agreed to part company with immediate effect”, the team reported on its website this morning. The press release referred to “tough economic conditions” as the reason for Glock’s departure, which of course means that they could no longer afford to pay him and are looking instead for a pay driver. 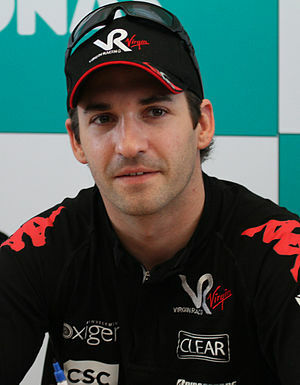 Glock had been with the team since its inception in advance of the 2010 season, and spent three seasons as the team’s senior driver. Results unfortunately were difficult to come by in such a new team, and Glock’s best finish at Marussia was 12th in the 2012 Singapore Grand Prix. Glock has not yet announced what his next career step will be, but it is widely speculated to be in DTM, the German touring car series. Glock has ties to BMW from his F1 days, having been BMW Sauber’s test driver in 2007. It could be that he has secured a DTM drive with BMW. For Marussia, there is now the challenge of finding another driver on fairly short notice. Not that there is a shortage of available F1 drivers. Bruno Senna has not yet found a drive after losing his seat at Williams. Narain Karthikeyan is still looking for a new job after HRT went into liquidation at the end of 2012. And Vitaly Petrov could be available if he does not succeed in keeping his place at Caterham. Considering their financial difficulties, Marussia will likely be inclined to select their new driver based on the amount of funding he can provide. Marussia are due to begin pre-season testing in just 15 days, but have not yet announced when they will launch their 2013 car. With the departure of Glock for financial reasons, it will not be long before questions start being asked about the future of the team, and whether or not they will race in 2013 at all.